Learning the art of fishing at an early age! I do not claim to be much of a fisherman, or fisher woman, but I have learned a lot about the sport through my husband and son's passion for this pastime. And I have come to believe that mastering the art of fishing is very similar to mastering the art of parenting. How so you ask? Well, here is why. 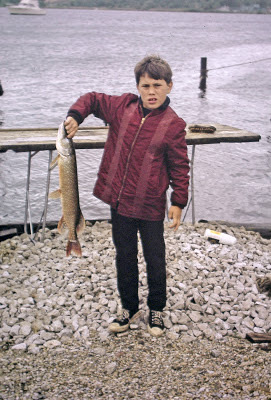 Chances are the first time you ever went fishing you used a pole, a line and a bobber. The method of bobber fishing is a lot like being a new parent. When the bobber moves you react, and when the baby cries you react. Your focus is on the bobber and/or the baby and your role is to jump and assist at the proper moments. 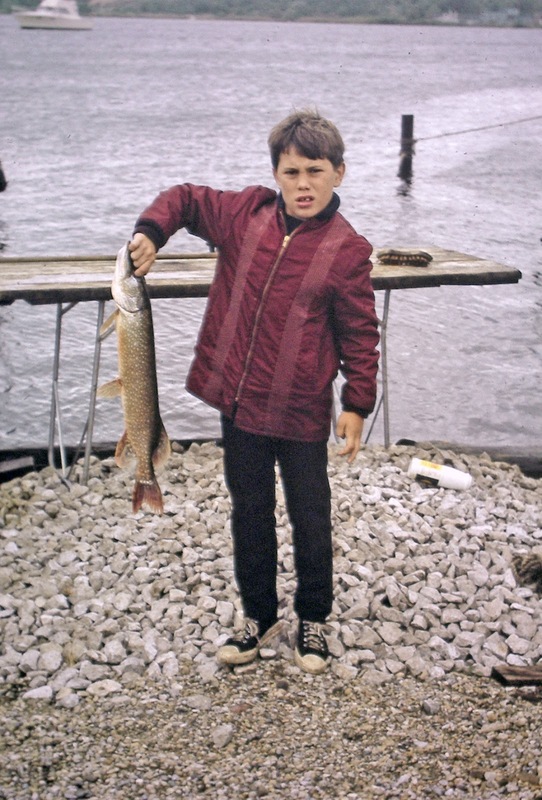 As your child grows, your fishing/parenting method has to change. If you still react each and every time your child makes a peep, you will not be allowing him/her to develop and grow. So you learn to try something a little more complex. This is when you begin to cast your line further out and only react when your child hits a snag or needs you to pull in the line. This parenting style usually appears when your child is in grade school. But some parents truly never leave the first bobber method. So if you have graduated to being a cast and reel in type of parent, congratulations. When things really get interesting is when you progress to the fly fishing method of parenting. This method is appropriate for high school age children and beyond. And is truly the most complex and intricate form of parenting. A good fly fisherman(woman) learns to delicately place his/her line a long distance away and play the current in order to be successful. This type of fishing depends on staying silent, removed from the picture, but still prepared to react at just the right moment. Parenting teens requires all of this intuition and more. Often times, the best parenting reaction is no reaction at all. Staying quiet becomes a proven talent. But all the while, you are still connected by that line directly to your child--and they need to know you are there. Emotionally letting them navigate their way through changing currents can be very difficult but you are preparing them to function in the adult world. It is so important to allow them to solve problems, overcome challenges and handle things that they are able to handle on their own. This stage does require you to be constantly vigilant, though. It is still important to remain aware and involved in their lives, and maintain rules and standards that you expect your teen to live up to. Teens are amazingly adept at acting as if they don't need you, when they are really crying out for your love and attention. They don't necessarily like boundaries but realize that you care enough about them to set them. You are still connected by that line, so they feel the security of your presence but the freedom to grow into their own person. Mastering fly fishing parenting is truly an art. It takes a lot of practice and patience, but the payoff is raising children who are ready to emotionally succeed in the modern world. Ricki Lake's Friend of the Week!